Indonesia’s Ministry of Communications and Information Technology has blocked access to Tumblr, a popular microblogging site, for pornographic content, said multuple reports. According to Jakarta Globe the move came following public complaints about alleged indecent content. While the ministry has informed Tumblr to remove the immoral content from its platform within 48 hours, it received no response. As such, it blocked eight of Tumblr’s Domain Name Servers on Monday, 5 March 2018. The ministry also tweeted that it received reports regarding “immoral content” and added that Tumblr lacks the tools to report immoral content. Marketing Interactive has reached out to Tumblr for comment. The move by the communication ministry sparked an outcry among Twitter users, with some tweeting that there was an option to report and filter sensitive content on the platform. One Twitter user added that only approximately 0.2% Tumblr accounts contain immoral content, while another said the ministry took the easy way out instead of nipping the problem in the bud. How many more websites? What’s next? You’re going to block whatsapp also? Then introducing the chat apps that you could monitor and encrypt? In 2016, the ministry also blocked Tumblr for pornographic content, but the move was later reversed. 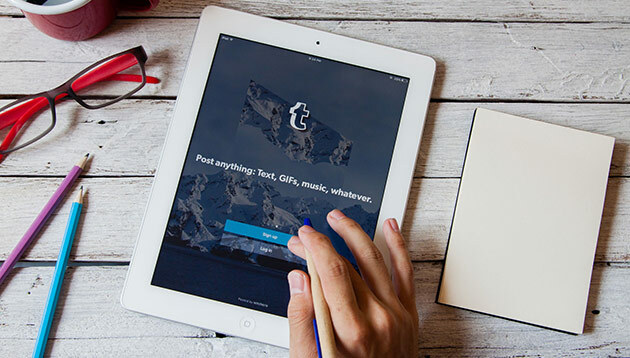 According to multiple media reports, the ministry said that Tumblr does not consist entirely of pornographic content, adding that it is not possible for internet service providers to individually block accounts on the microblogging platform that have questionable content. The ministry also requested Tumblr to practice self-censorship. Twenty-nine year old Natalia Anderson high-fives everyone one the street from her bicycle; Candice Hatting, also 29, pays tolls fo.. It has also made other board and management changes. ..